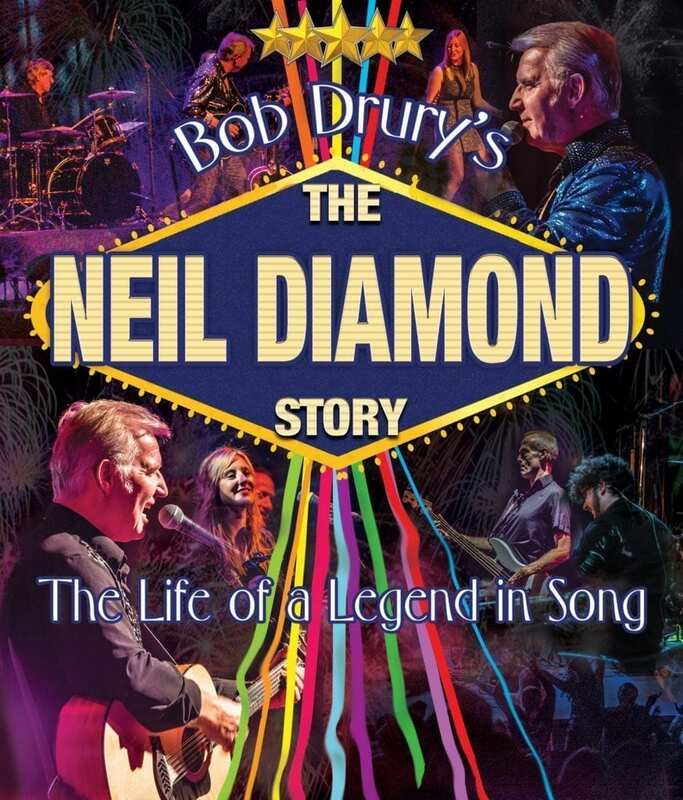 Described in Las Vegas as one of the world’s finest vocal tributes to Neil Diamond, Bob Dury has been astounding audiences with his vocal likeness for ten years during which time he has performed throughout the UK, Europe and in the United States for the Amerian Neil Diamond Fan Club in both Nashville and Las Vegas. Bob is joined by his amazing band this year and the show tracks Neil’s journey from unknown and struggling New York songwriter to international mega-star. The music covers every stage of a staggering music career spanning five decades. Join in with all the favourites such as Cracklin’ Rosie, America, Love on the Rocks, Play Me, Hello Again, Forever in Blue Jeans, Beautiful Noise, I’m a Believer, Red Red Wine and of course Sweet Caroline. Bob’s duet with Harriet on the Diamond/Streisand classic ‘You Don’t Bring Me Flowers’ is one of the best versions you’ll ever hear. The show also features a couple of lesser known songs that are sure to become your favourites by the end of the evening. A fantastic evening guaranteed! “If I didn’t know better I’d have said that was Neil Diamond singing” Pat Marsh BBC Radio Kent.